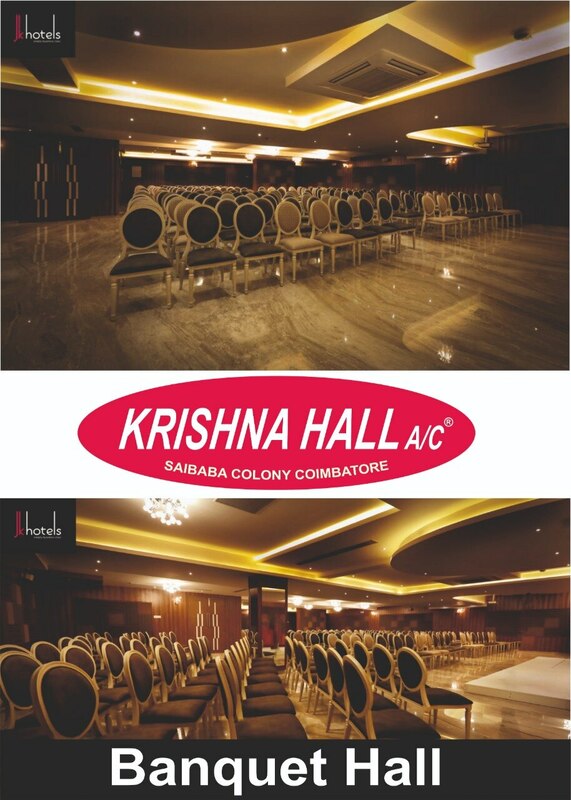 The Krishna hall at JK Hotels fuses the best facets of understated gracefulness and overplayed extravagance. There is an air of this harmony in everything. While the spaces at JK Hotels is the perfect haven for business meetings and corporate gatherings, the stunning interiors and inviting ambiance makes it ideal for anything from an informal gathering to a wedding reception. Celebrate your special events or fix your board meeting in one of the best banquets in Coimbatore.